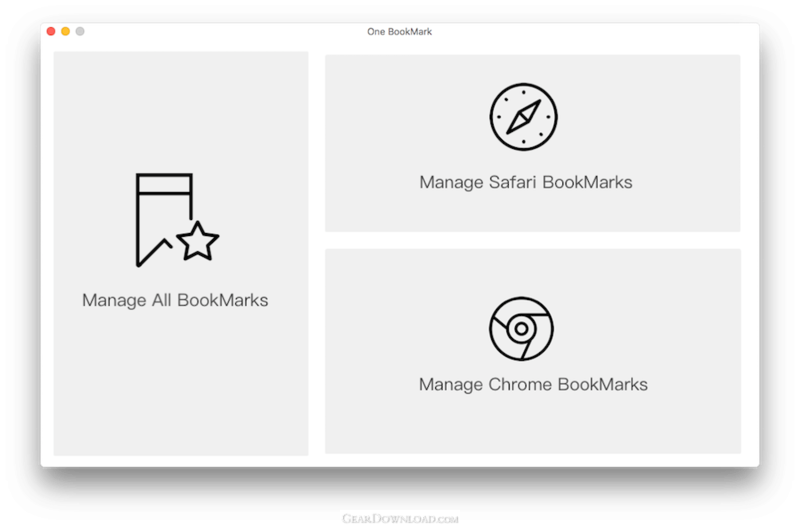 One Bookmark is designed to sync and manage all bookmarks from Safari, Chrome, Firefox, Opera browsers. It allows you to sort, edit, delete your browser bookmarks. It supports finding and deleting duplicate bookmarks and unreachable bookmarks. In addition, it can export organized bookmarks that have changed and apply the changed bookmarks to the browser. This download (onebookmark.dmg) was tested thoroughly and was found 100% clean. Click "Report Spyware" link on the top if you found this software contains any form of malware, including but not limited to: spyware, viruses, trojans and backdoors.
! - Webm8 4 Release - All in one - bookmark, password and form-filling program. Web Resources PS 3.0 - Organize your internet surfing and websites with Web Resources PS. #1 Smart PopUp Stopper Pro 3.13 - Stops all annoying popups. Blocks banner ads. Easy to use - Self configurable. IE Guardian 7.0.0 - Customize and protect your IE settings against malicious changes. #1 Smart PopUp Blocker 3.2 - Stops all annoying popups. Blocks banner ads. Easy to use - Self configurable. Link Commander Lite 4.6.4.1158 - Keep all your bookmarks in the same browser-independent collection! IE Catcher 1.3 - Allow you saving web page as image with one click. IE Assistant 2.3 - Save web as img, IE sweeper, Save Flash to local disk with one click.